At the beginning of another 365 days to be spent orbiting around the sun, it’s time to look into the future and prepare for the changes that are about to happen. In terms of the education sector exclusively, such changes can be summarised in a single word: Digital. With the present government pushing its agenda of enabling every citizen with digital prowess, there is no doubt that the fundamental social training medium i.e. education, will experience a paradigm shift going forward. Mobile learning- The devices which have proliferated themselves in everyone’s pockets will surely take the educational world by storm. Students are, and will be, able to access information whenever and wherever they require, and from multiple sources. This will gradually start to have an impact on conventional academic institutions, and will lead to a much-needed rise in independent learning. 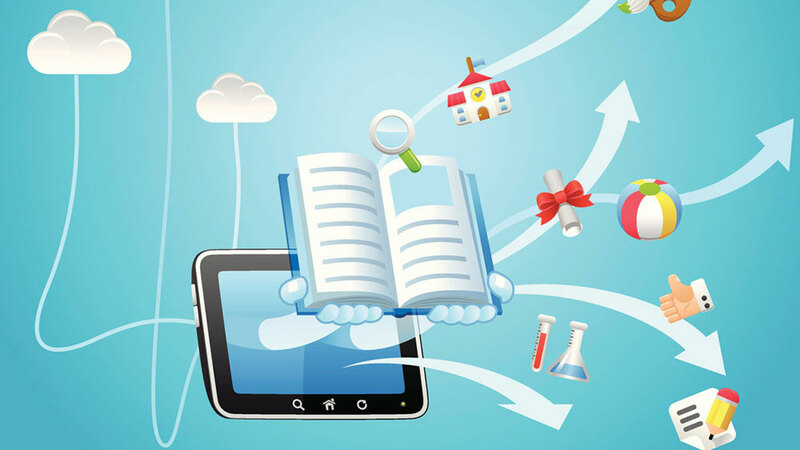 For instance, the steady increase in popularity of independent schooling in the west and concepts such as phenomenon- based learning have a better scope of incorporating the elements of mobile learning. With reference to India, educating the rural hinterlands and interior regions seems a better bet with the rising proliferation of smartphones. Initiatives from global giants such as Google have already started with training local people to educate the rural youth about computers and internet usage, as was evident during Google CEO Sundar Pichai's latest visit to the rural areas of West Bengal. Such initiatives are stopping short of their optimum potential, only for the want of infrastructure. Hybrid model-The steady popularisation of online videos and virtual conferences with teachers is a representation of a change in the teacher-student leadership. Through virtual education, students are now able to raise their doubts freely without worrying about what their peers might think, while the teacher is able to focus on each child individually. Furthermore, it has also brought a tremendous amount of equality in accessibility to quality education. Popularising initiatives such as guest lectures from eminent academicians and releasing volumes of academic discussions can have a significant impact on one of the longest issues plaguing the education scenario, that of reservation and unequal access. These steps have immense potential to create a level-playing field, and help keen teachers identify talented students at the basic level. It will also help to lessen the burden on limited classrooms available in our country by converting every drawing room, bedroom or even a vast field with only a projector into a space where the minds of the future are nurtured. Social learning-Collective education on online forums positively impact the thinking process on lessons learnt. By observing various sources of learning followed by friends, their ways of expressing arguments and online discussions on lessons, children will start developing a holistic view on each subject. This will be a much welcome change from the practice of rote learning that Indian education has traditionally been associated with. Online quiz forums, daily news updates and blogs of eminent researchers on specific subjects provide learners an access to the latest, relevant and insightful information easily, something which was painstakingly accumulated by a person over the years earlier. It also enriches the learning of students by constantly exposing them to competitive global thoughts, thereby honing their reasoning and analysis. This is certainly a better scheme of things than subjecting students to a curriculum, which is well past its expiry date. Personalisation- The transition from a one-size-fits-all approach to tailoring educational methods according to each individual will gradually happen. Big Data analytics and machine learning models can help in a massive way to map out each child's logical, intuitive and emotional intelligence quotient to obtain the ultimate method of imparting education. In fact, academic institutions these days are stressing on the role of councillors and student psychoanalysts to not only identify the talents of an individual, but also investigate the emotional issues that the child is facing, or has a high chance to face in the future. This helps to nip various social anxieties right in the bud and develop individuals who can be physically and intellectually useful to their surrounding. Also, personalised data analysis has emerged in a big way to play a huge role in helping make tough career choices and professional decisions. As Braille revolutionised education for the blind, digital tools such as thought recognition from neuron impulse mapping can also be expected to bring a paradigm shift in the way the academic future of children with specific mental make-ups are viewed. With the advent of digital education tools, it will become almost impossible in the future to deprive any inquisitive learner from the infinite well of knowledge. The importance of teachers in this drive of digitisation however cannot be stated enough. They will serve as the essential cogs in empowering students with digital education and enabling them with a vision of an educated, enlightened future. 5 Myths about a career in Hotel Management..